Free of the constraints of time and unburdened by limitations, Rolls-Royce Coach build represents rarity in its most authentic form. This is #Sweptail, made exclusively by Rolls-Royce Motor Cars. 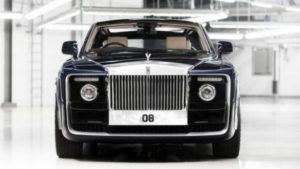 The Sweptail resembles the Phantom from the front. 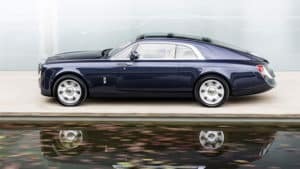 The coachbuilt vehicle takes inspiration from the 1925 Phantom I Round Door and embodies the svelte tapering glasshouse. The 1934 Phantom II Streamline Saloon, 1934 Gurney Nutting Phantom II Two Door Light Saloon were all considered by the designers in the creation of the Sweptail. The front grille is milled from solid aluminium and polished by hand to a mirror finish. The coupe has a gently sloping roofline. 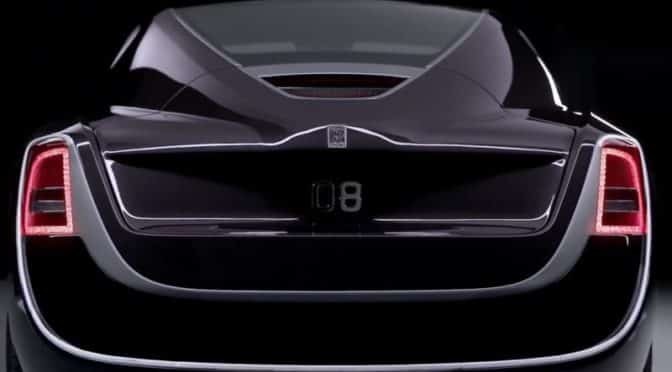 The cherry on top – or rather the front – is the 08 numberplate, milled and polished from ingots of aluminum. 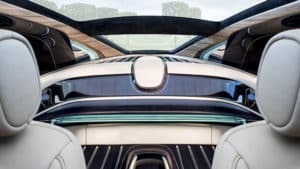 Inside this yacht-inspired motor car, all buttons and switches are shielded behind Macassar Ebony wood. The passengers enjoy a full-length panoramic view through the glass roof.